Frequently, I get asked, “As a travel agent, don’t you have a lot of competition because of the internet?” Although there are travelers who like to take care of their own travel arrangements, I provide a service to my clients that only a local business owner can provide. My clients like the personal touch that I give and they understand the importance of building a relationship. My office is in downtown Mount Dora. As a result, several clients live within walking distance of my office. Yesterday, I received a phone call from a client inquiring about a vacation in St. John. I researched several options and created a folder with all the information. Today, I called the client and asked him if he’d like to come to the office to pick them up or since it was a beautiful, sunshiny day, I could walk them over to him. The decision was made. Strolling down the streets of Mount Dora for a couple blocks, I delivered the travel documents to my client. That kind of service can only happen when you deal with a local travel agent. The biggest myth surrounding travel agents is that they “charge” for their services. 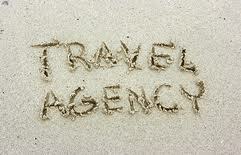 For the most part, travel agents’ services are complimentary. This may not hold true for airline tickets because airlines no longer pay travel agents commission. 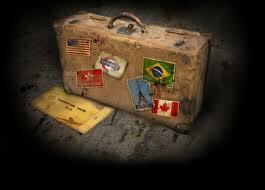 For travel such as cruises, tours and land packages, the vendor pays the travel coordinators. This means a travel agent’s services are FREE to you! When you call a local travel agent, you are probably going to deal with the same person each time. When you call a cruise line you might not ever get to talk to the same person. In fact, sometimes you don’t speak to a human at all, but rather you come across a voice automated system. Where’s the personality and fun in that? You get the BEST DEAL by calling on a Cruise Planners/American Express Travel Consultant. Agents don’t work for any one cruise line or tour operator. We search all cruise lines to find you the best deal for the best available cabin at the time of booking. The best part is a travel agent continues to work for you even after the deposit. So, if a cruise line has a rate change, we call and lower your price. Does the cruise line call you to let you know there has been a price reduction? Another myth is that many online sites run exclusive promotions or hold space months in advance. This supposedly gives them an advantage on certain ships and sailing dates. Travel agents have access to all the best promotions as well. You might receive extra shipboard credit to spend onboard or pre-paid gratuities so all tipping is included. And on some itineraries a unique shore excursion is available. They aren’t available on all sailings, but if you book in advance you are more likely to enjoy a special extra perk. Your time is valuable. Give your local agent a call and let them know what trip you are interested in and let them do all the work. Why should you spend hours and hours searching the internet or calling each cruise line? Let your local travel agent plan so you can play!